Our Healthy Breakfast Programme is a simple 21 day programme for anyone looking to increase their intake of good nutrition every day. It covers all three criteria of healthy breakfast: energy, nutrition and hydration. A large glass of water is the best way to begin every day, and our AloeMax drink is a refreshing way to replace fluids lost during sleep. Aloe vera has also been proven to have numerous health benefits and aid digestion. Herbalife's Instant Herbal Beverage is a refreshing and invigorating alternative to coffee or tea in the morning. Our Herbal Beverage is an instant green tea extract, offering all the health benefits of green tea with the convenience and energy boost of instant coffee. 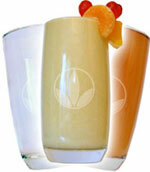 Herbalife's Formula 1 Shake is the most important part of your healthy, balanced breakfast. Formula 1 shakes are high in key vitamins, minerals and herbs, and the combination of protein and complex carbohydrates keeps you going without the insulin spike associated with simple carbohydrate breakfasts. Nutritional smoothies aren't just for weight loss, they're for anyone who wants a healthy meal containing only the nutrients your body needs (and none of the ones it doesn't!). They're quick to prepare and taste great. To complete your nutrition and ensure you reach your RDAs of vitamins and minerals, Formula 2 and Fibre and Herb are also included in the Healthy Breakfast Programme. Welcome to my site, where you can enjoy looking and purchase our fabulous range of Herbalife products. Please call or text me if you have questions.